Michigan’s Osceola Township is being sued by Nestle for expanded access to the township’s spring water supply. Nestle Waters North America is the world’s largest bottled water company. Nestle’s lawyers argue that the township had no right to deny the corporation’s application to build a booster station that would increase the amount of water it takes from its White Pine Springs well near Evart, Michigan, in Osceola Township. Nestle’s booster station would help move a larger supply of water from the well. The plans would increase the amount of spring water extracted to 400 gallons each minute. In just weeks, Mason County 51st Circuit Court Judge Susan Sniegowski will hear oral arguments in the lawsuit against Osceola Township at the Osceola County courthouse in Reed City. Due to the potential conflict of interest, judges in Osceola and neighboring Mecosta counties recused themselves once the company appealed the zoning denial, MLive reports. The hearing will be held on Wednesday, November 15. At the hearing, the world’s largest bottled water company will go up against a small civil township located in Osceola County in Mid-Michigan. The well currently supplies water for the corporation’s Ice Mountain brand, MLive reported. Ferris State University’s Torch reported that the company pays just $200 for administrative costs for the ability to withdraw millions of gallons of water from the well. Osceola Township denied Nestle’s zoning application. The township’s planning and zoning appeals boards concluded that the special land use application needed for the booster station did not meet their zoning ordinance requirements. According to MLive, the corporation appealed the township’s denial. If you can donate to help – please do. 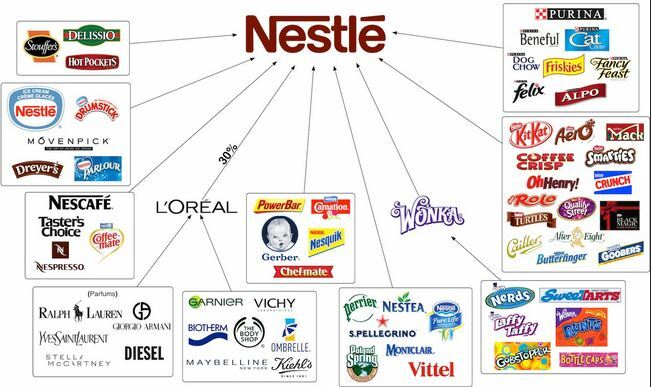 I’ve written about Nestle before. They’re really something else, not quite Monsanto level but working their way up. Where do I find the online fundraiser?